Are any of your mates won't cooperate while taking snapshots? Do you want to take surprise pictures? 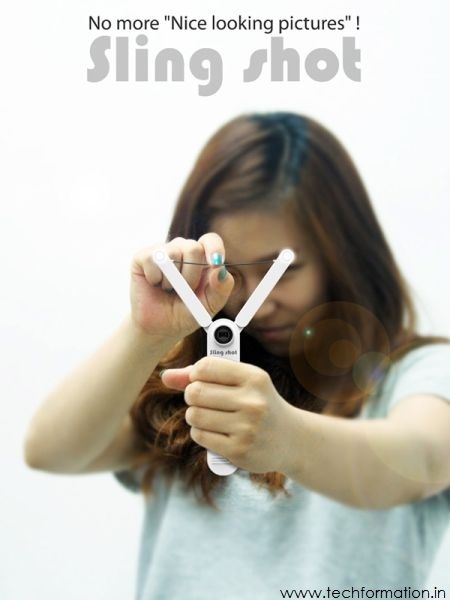 Then you must try Sling Shot Camera. 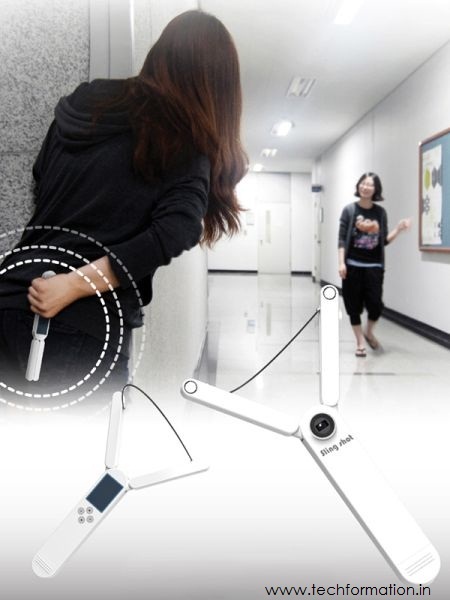 It is a variety camera that resembles a catapult. 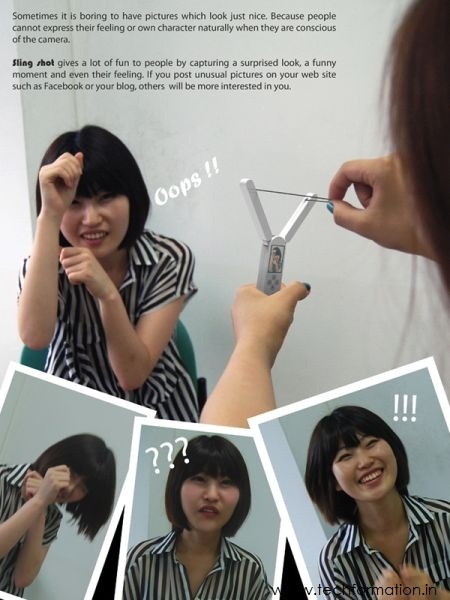 Just like catapult, you need to pull a string here to capture pictures. Best part is, when you take a snapshot with this camera, people can't recognise that you took a photo of them! 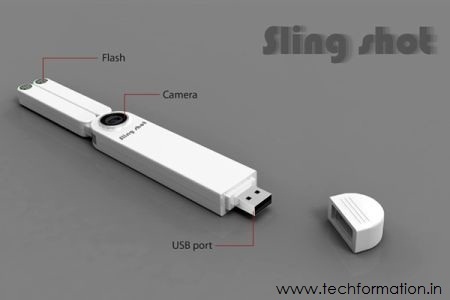 USB port is provided to transfer the photos to any storage memory instantly. 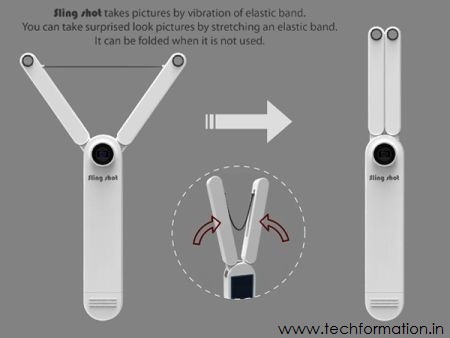 You can fold it when not in use.